I bought these lenses for everyday wear as well as for a cosplay. They look just like they do captured in the images provided. I have dark brown eyes so this light brown gives a more intense brown look to my eyes. 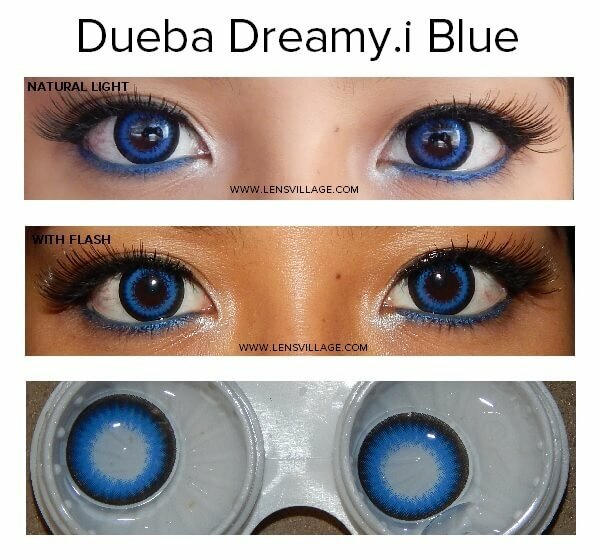 The Deuba dreamy adds a touch of color to your eyes to make them sparkle and attractive throughout the day. With a 14.5 diameter and 8.6 mm base curve these fit your eyes perfectly giving a relaxed feel. Available in pink, blue, brown, green, grey and violet colors, they are sure to make you feel like a star and the centre of attraction. These lenses are available in power 0.00 to -10.00.